After taking several detours and side trips, a journey to forever, concluded one of the most-watched Philippine TV series “Dolce Amore,” which stars two of the most popular Pinoy love teams Liza Soberano and Enrique Gil who play the lead roles of Serena and Tenten, and which was aired on TFC.tv and TFC IPTV. Serena (Liza Soberano) and Tenten (Enrique Gil) having a moment after their wedding, while everyone were being candid. In an interview with the late-night talk show “Tonight with Boy Abunda,” Gil said he believed that the ending of the show was just perfect after all what Serena and Tenten went through. “I think sa lahat ng pinagdaanan nila, it’s a very beautiful ending for love to find its way again,” he explained. Cherie Gil’s character has reconciled with the characters of Liza Soberano and Enrique Gil in the wedding scene. Many were also touched with the revelation of their real relationship and eventual reconciliation between Tenten and Luciana (Cherie Gil) after the bad blood between them in the past. Their tiff sprang from the suspected murder ofTenten’s brother (by law) Binggoy played by Kean Cipriano and hidden wealth which Luciana tucked underTenten’s company. Both the fans of LizQuen the moniker of their love team and the series’ viewers, tuned in to the “Most Beautiful Finale” last August 26 which garnered a total of 37.7% national TV rating based on the data released by Kantar Media (a local TV ratings measurement company). The teleserye finale was also one of shows with the most views during the day it was offered on TFC.tv. The cast of “Dolce Amore,” starring Liza Soberano and Enrique Gil, having a good time after the wedding scene. The show has in fact, been getting high ratings consistently since the show aired February this year. Soberano is happy and thankful to their fans. “Nakakatuwa lang po kasi doon mo makikita na solid ang fans ng ‘Dolce Amore’ and they’re loving fans,” she ended. (L-R) Sue Ramirez, Sunshine Cruz, Liza Soberano, Enrique Gil and Andrew E. having a photo opportunity after the wedding scene. On social media the fans were also abuzz from the wedding ensemble to the clothes. The love team looked stunning in their wedding clothes designed by Filipino designer Francis Libiran. 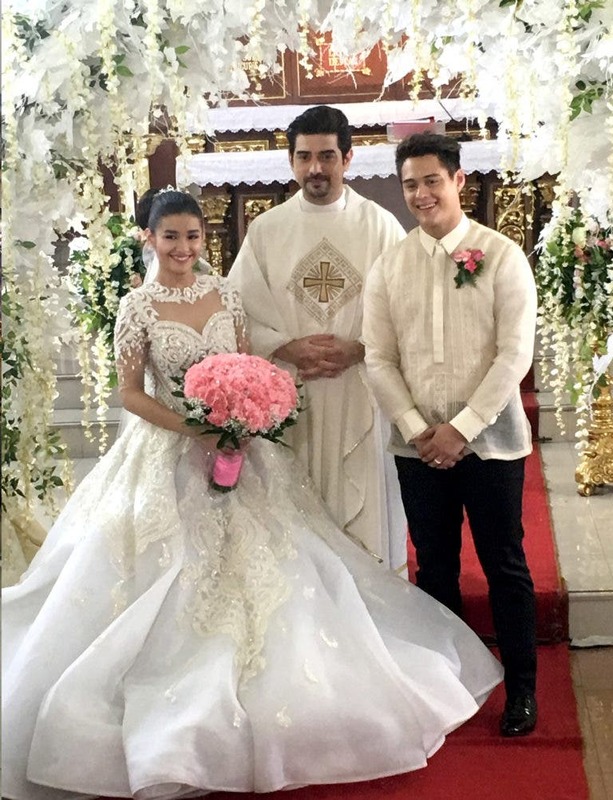 Soberano wore a carefully detailed ball gown, while Gil wore a classic barong. Viewers also had a pleasant surprise with the special appearance of Ian Veneracion as the priest who performed their wedding. Relive the “Most Beautiful Finale” of “Dolce Amore” on TFC.tv and TFC IPTV and let Serena and Tenten make you believe in love again. 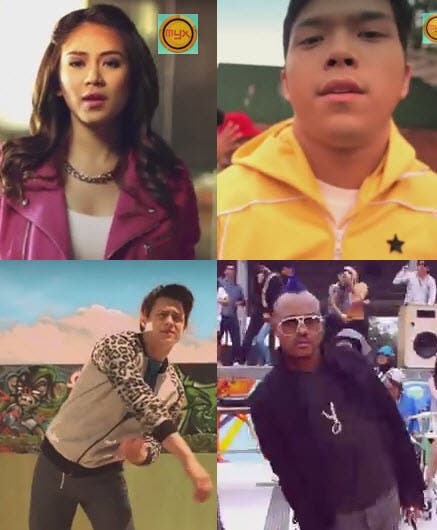 Liza Soberano and Enrique Gil with co-stars Rio Locsin, Bobot Mortiz, and Kulot.